Here are instructions for participants of the workshop Yo soy un musicalizador. Depending on which software you are/will be using, here are samples for Mediamonkey and iTunes (both on the Windows operating system). If you are using some other operating system (like iOS or Linux), these programs may look a bit different (also depends on which version or 'skin' they have) or maybe you are using any other software, which is completely fine with us. 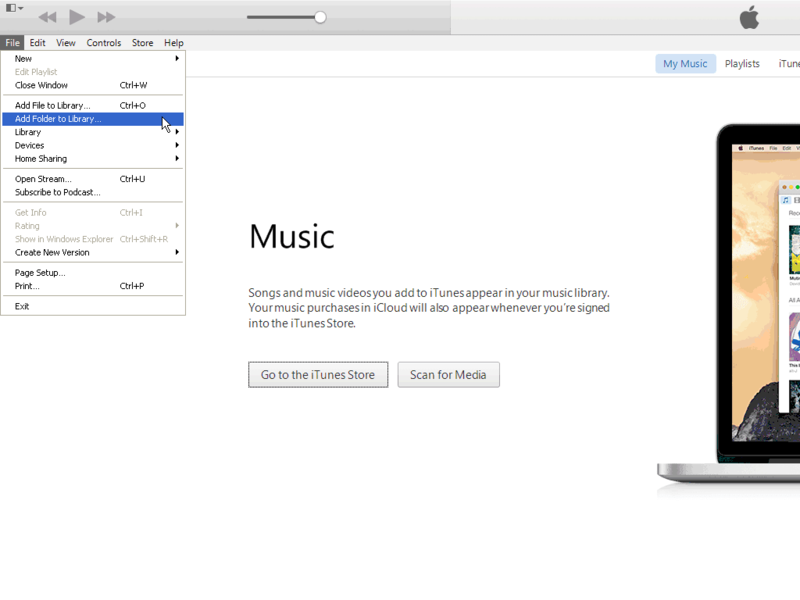 The idea is to give you some examples of how to get the music into the software in order to prepare it for later use. +386 41 68 48 48. I wish you a lot of success and happy listening! 1. Select File then Add/Rescan files to the library or press the Insert key (Ins) on the keyboard. 2. 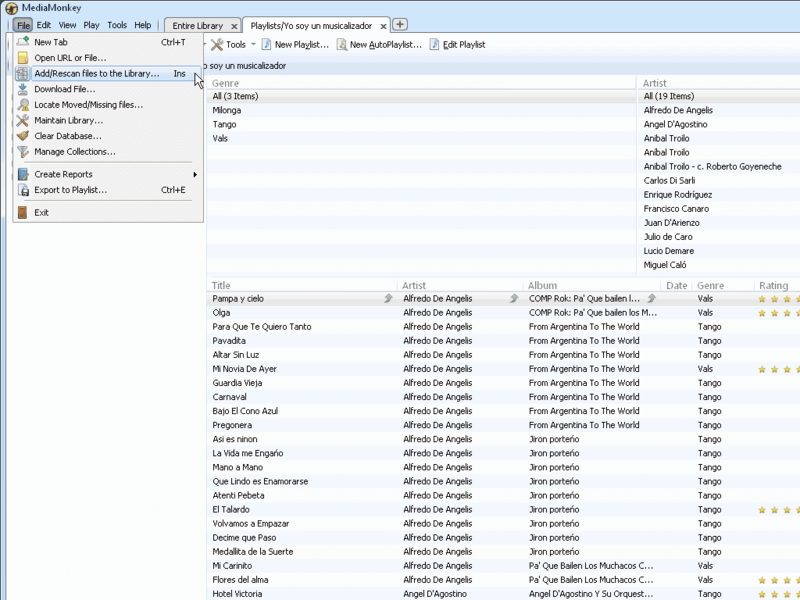 Select the folder(s) with your music (here is a sample with Angel D'Agostino and Anibal Troilo). 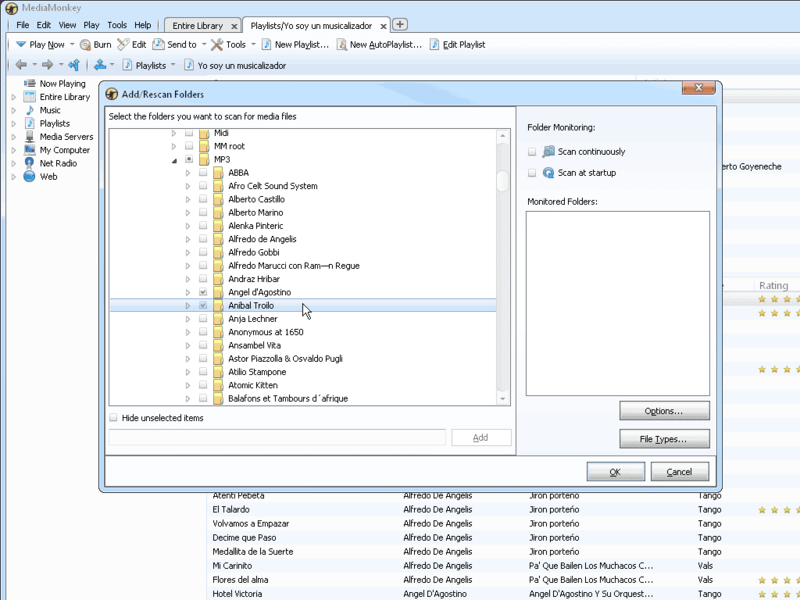 You can also select only specific types of files or add with additional options. 3. 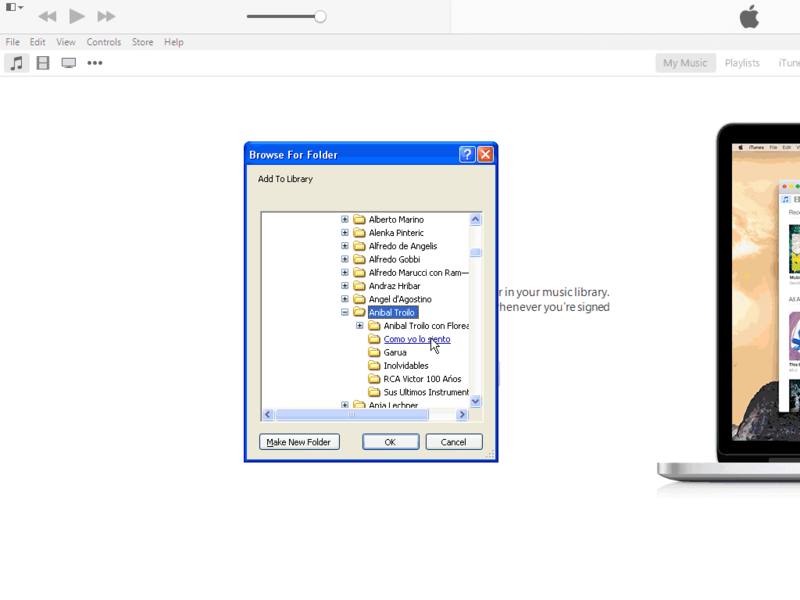 After pressing OK in the previous window, the program will add files to your musical library. You are all set for the workshop. 4. I would suggest to try to make a playlist on your own. On the left you have Playlists. You can add a new one, name it, etc. Try to play with right clicking on the mouse instead of only left clicking (many options will pop out). 5. See you at the workshop! Please come on time (15 minutes before the start). 2. 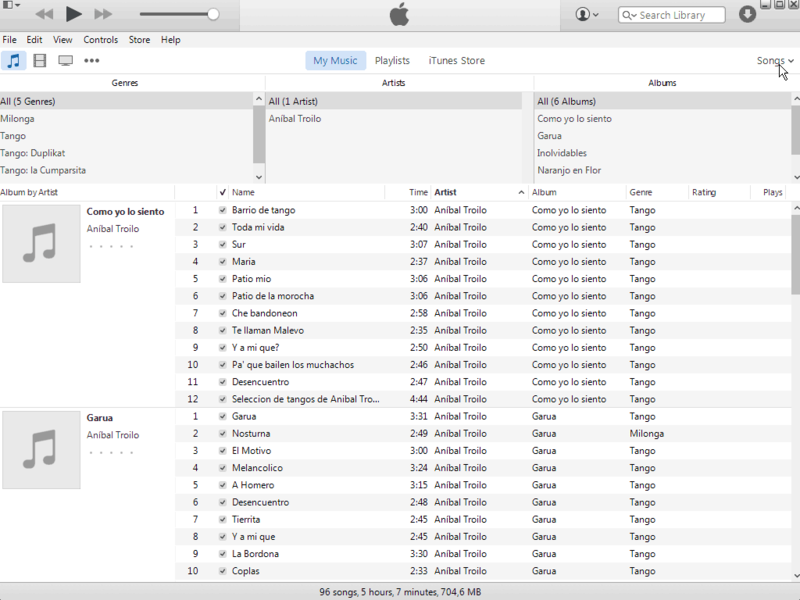 Select the folder(s) with your music (here is a sample with Anibal Troilo). To see them in this type of view, on the right upper corner (where the pointer is) choose Songs. 4. 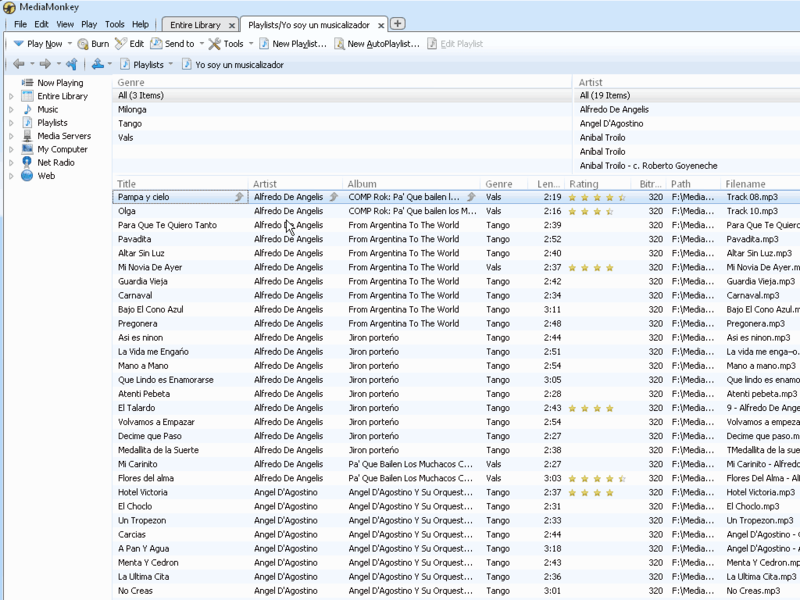 I would suggest to try to make a playlist on your own (Ctrl-N or File/New...). Try to play with right clicking on the mouse instead of only left clicking (many options will pop out).